For decades, the do-it-yourself (DIY) mentality has been popular in American culture. There’s a certain satisfaction and pride that come from taking raw materials and, through hard work, turning them into something valuable. But to be a successful DIYer, one must have the right tools; no company knows this better than Superior Machining & Fabrication Inc. in Muenster, Texas. At Superior, the employees are the experts in custom machining—with decades of experience—and DIY is truly a way of life that can be traced to the town’s rural location and hard-working German ancestry. There are many ways in which DIY has been applied to the business. Superior not only built its own brand-new 100,000-square-foot facility, but it also has a material division that supplies the aluminum used to create its parts. It has a tooling operation. It has rigged its own machinery, created its own fixtures and performed its own maintenance. No matter what the task, Superior controls nearly all aspects of its manufacturing operations—from the raw materials to the manufacturing processes. Superior’s move to high-performance horizontal machining technology enabled the company to significantly reduce cycle times, producing four additional parts per day compared to its commodity horizontals. For 24 years Giles Walterscheid worked for another manufacturer before becoming an entrepreneur. In addition to it being his career, machining was a hobby, and he used the two manual machines at his home to repair farm and oil-field equipment. Soon this passion led him to venture out on his own, and he purchased the CNC equipment needed to start Superior Machining & Fabrication in 1995. Today, most of Superior’s business is in the aerospace industry, but the company also performs work in the defense, oil and mining industry for both local and international customers. After nearly 20 years, the company has grown to 140 employees, and it has 90 machines on its floor. In a job-shop environment, flexibility is a necessity. In the early years, Superior handled its work on vertical machining centers, but over time it began to understand the competitive advantage that horizontal machining centers could bring to the operation through better spindle utilization. 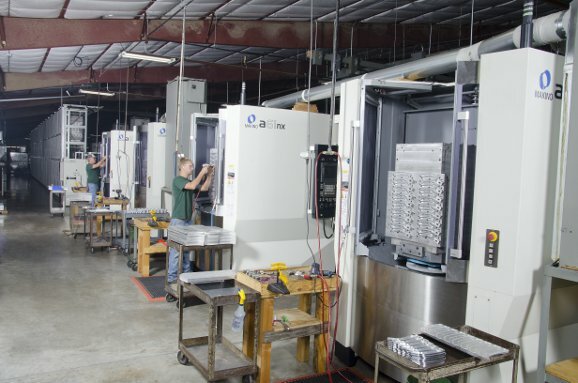 In 2000, the company began adding horizontal machining centers. By 2007, the aerospace industry was growing and Superior continued to purchase HMCs to bring in additional capacity. Superior purchased three Makino a51 horizontal machining centers—a change that had a lasting impact on the operation. The a51 also added a level of reliability to the operation, which wasn’t there before. On its previous commodity HMCs, Superior had to replace several spindles. On the a51 machines, the only time the panels were opened was for preventive maintenance—and this with the machines in operation 24 hours a day, five days a week. In addition, parts were of higher quality on the a51 machines. Tolerances of 0.0001 inches were common, with greater repeatability. These kinds of results led the company to purchase three more a51 machines. After several years of success with the a51s, Superior obtained five Makino a61nx horizontal machining centers to acquire a larger work zone and produce more parts in a single setup. These were purchased along with a Makino MMC2 automated cell for improved productivity. 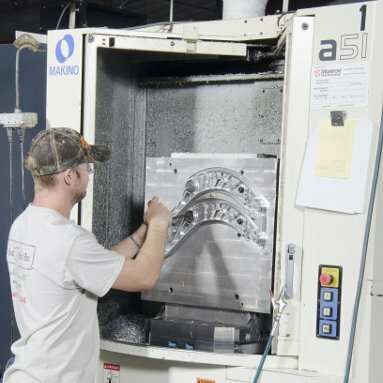 Makino expedited the process of integrating these four a61nx machines on Superior’s shop floor so that the company could begin making parts before the MMC2 components arrived. When it was time to install the automated portion of the cell, Superior operators traveled to Makino’s Mason, Ohio, facility for a weeklong training course. Because of the purposeful timing, when they returned from Mason, the cell was up and running, ready for the operators to put their training in action and begin production. Makino was able to minimize overall downtime, and the training made that week a very productive period. 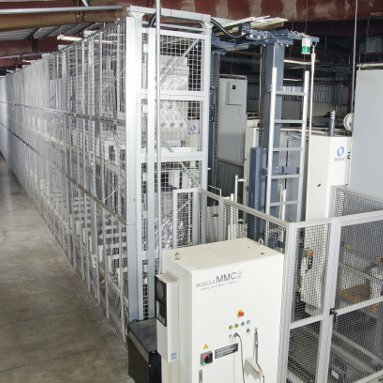 Superior’s automated cell is equipped with 56 pallets and five a61nx machines. The Makino MAS-A5 cell controller coordinates the tool magazines, pallets and part programs. A servo-controlled vehicle on the MMC2 transports material to and from machines with little to no operator intervention. Pallets can be loaded and unloaded for nine-hour runs without stopping the machine. It is not unheard of for the spindles on the a61nx machines to be running 95 percent of the time. The system has truly elevated Superior’s production. In fact, over the last few years, Superior has seen its largest growth to date. The Makino machines have given this job shop the capacity of a production operation, and it is shipping over 40,000 parts per month. The ability to make more parts via the MMC2 cell has brought significantly more revenue to the company over what it was doing with its original commodity HMCs. Because Superior can make 15 more of the aerospace seating components per machine, per day, on the MMC2 cell than it did on its original commodity machines, that $100 part adds up to an additional $7,500 each day. Multiplied by 250 production days a year, this investment brings an additional $1,875,000 per year in revenue. The MAS-A5 controller also enables Superior to run more part varieties and prioritizes the machines to run certain applications at night or on weekends. If a customer asks Superior to quickly fit in an unexpected job, there is no need to stop a run or tear down existing fixtures to complete it. The controller can put the added pallet into production while the job that was already in operation continues to be machined on the other equipment in the cell. The addition of the MMC2 automated pallet handling system increased Superior’s machine utilization to 95 percent and allowed the company to run lights-out production. 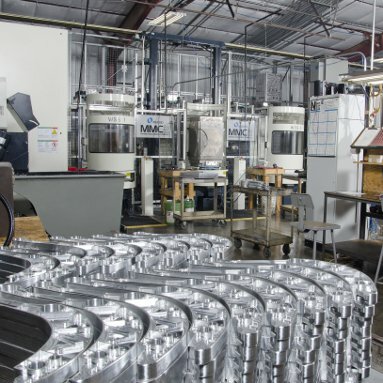 Since investing in automation and high-performance horizontal machining technologies, Superior has increased its production volumes, shipping over 40,000 parts per month. 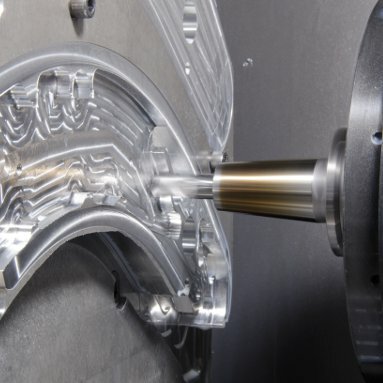 Superior still uses vertical machining centers for some of its one-off jobs, because not all of the work requires an automated HMC. To obtain additional speed and power, the company purchased two Makino PS95 vertical machining centers to replace its commodity VMCs. The 33.5-horsepower high-speed 14,000-rpm spindle is similar to that found in the a51. The additional 2,000 rpm offered over Superior’s previous commodity VMCs, along with faster tool changers and axis movements, enable Superior to save 10 to 15 percent in cycle time over previous VMCs. Moving forward, Superior plans to purchase more Makino machines. The company has already purchased four more stand-alone a61nx machines and would like to add an MMC2 to those machines. “For the last six years, we have bought strictly Makino milling machines, and we see the difference it has made in our operation,” said Jeff. “The MMC2 cell has given us a technological advantage over our competitors. We have a better chance of succeeding in the industry because we can produce more parts. Being able to perform all of these machining operations ourselves in-house ultimately makes us price competitive. We plan to stay with Makino.” Superior has also been pleased with the service it receives from the company’s Makino representatives. 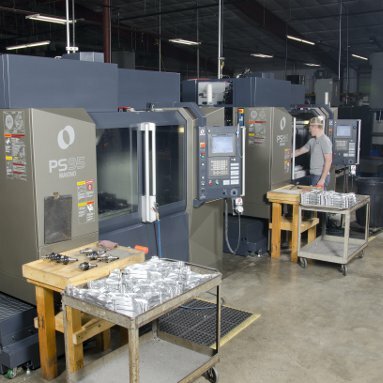 The speed and power of the PS95 vertical machining centers have enabled Superior to reduce cycle times in small batch production runs by 10 to 15 percent. 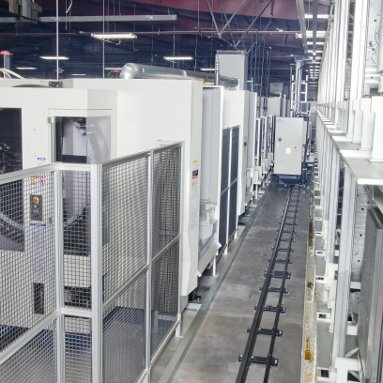 Where prior equipment required several spindle replacements, downtime on the Makino horizontal machining centers have been limited to preventive maintenance activities, even while running around the clock, five days a week. Superior is a family-owned-and-operated company employing three generations of the Walterscheid clan and the extended family members of many of its employees. What matters most to Giles is creating stable jobs for these employees so that they can care for their own families. Giles says that Superior continues to be committed to obtaining the best technology possible in order for the operators to be successful in their jobs and make quality parts. The work ethic of its employees and the DIY nature of its operation, combined with the Makino technology, is a winning combination. And building a strong work environment for employees ultimately contributes to the community stability of this small hardworking town.